This postcard provides a view of people watching a golf match. The players are on the putting green. One player appears to be lining up his shot, while another has just putted. A wide, flat fairway is visible in the distance. 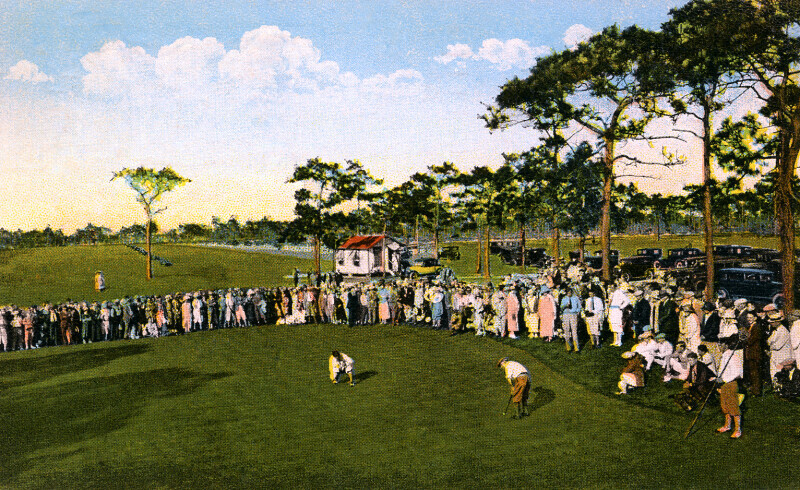 A crowd of spectators encircles the putting green, with a line of pine trees behind them.